One of my first memories was when I was in the back seat of a car at a drive in theater, I saw “Fantasia” – a Disney movie where were of the “first music” films of it’s kind. To this day I cannot help by see images of the flying horses and dancing centaurs when the notes of Beethoven’s Sixth symphony play on the radio. Music as been a part of who I am and I constantly refer to musical ideas when thinking about most anything. I have the great honor of being able to teach piano to both young and old and each Christmas I tend to make small charms of musical notation as their Christmas gifts, then in turn spread them amongst my family both near and far. 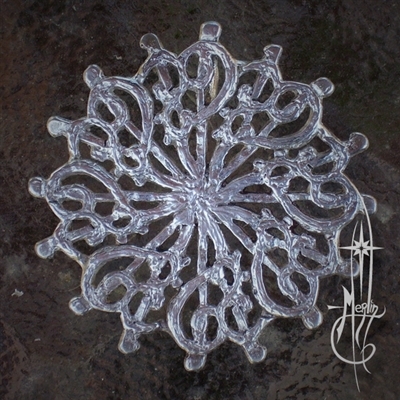 Over the winter this year, I was very late, the cold has set me back, but still I continue to image musical possibilities in making the amulets and charms for those I care about. In mid February I imagined a combination of musical notation to express my love for music and came up with a combination of the Treble Clef and Bass Clef in a (somewhat squiggling) heart shape. 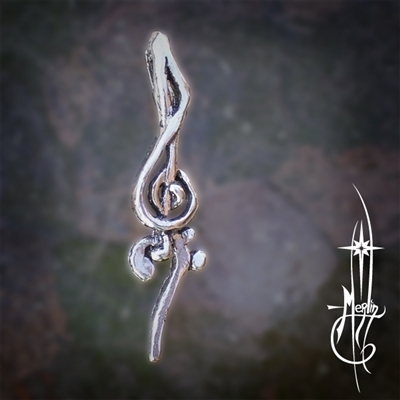 Now, I am presenting (in time for spring and perhaps some rather late gifts) the Musical Love Amulet. 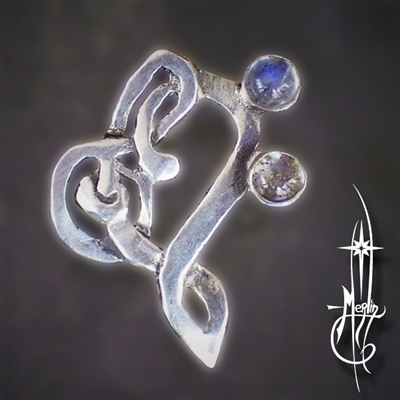 I am making these in both silver and bronze and for those more adventurous types, I am including moon stones to feature the Bass Clef. Blessings to all lovers of Music!